Preheat oven to 375°. Crust: Combine graham cracker crumbs, cocoa, sugar and butter until combined. Press mixture into 9″ deep dish pie plate, over bottom and up sides. Bake for 10 minutes. Filling: Combine brown sugar, cornstarch and salt in heavy saucepan, whisk until combined. In small bowl whisk together milk and egg yolks. Add milk mixture to saucepan slowly, whisking until mixture is smooth. Cook over medium heat, whisking constantly, until mixture starts to bubble and thicken, about 6-8 minutes. Turn heat down to simmer and cook, whisking constantly, another minute more until thick. Remove from heat and stir in dark chocolate chips, butter, and vanilla. Beat several times while cooling. Pour into crust (there may be a little extra, bonus for eating right away!) cover with plastic wrap or wax paper. Chill until cold and set throughout, at least 4 hours. 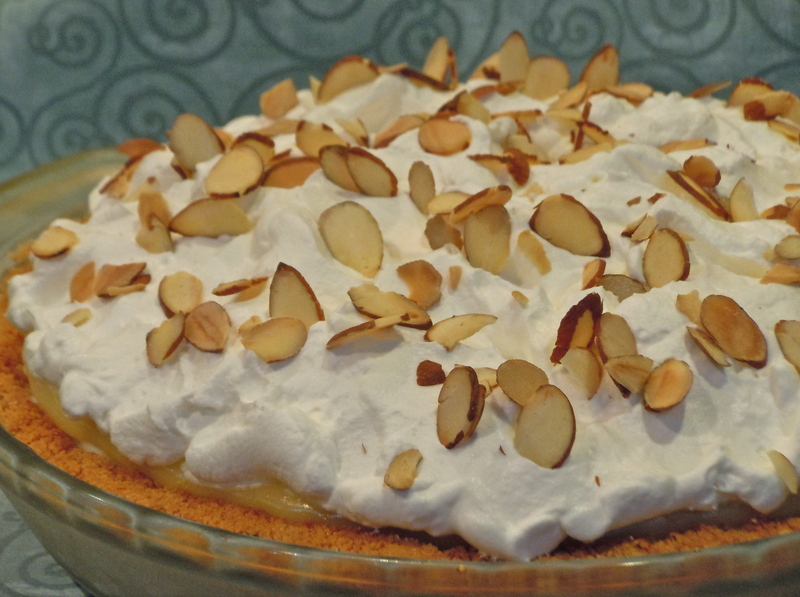 Cream Topping: Whip cream with electric mixer until soft peaks, add sugar and vanilla, continue whipping to stiff peaks. 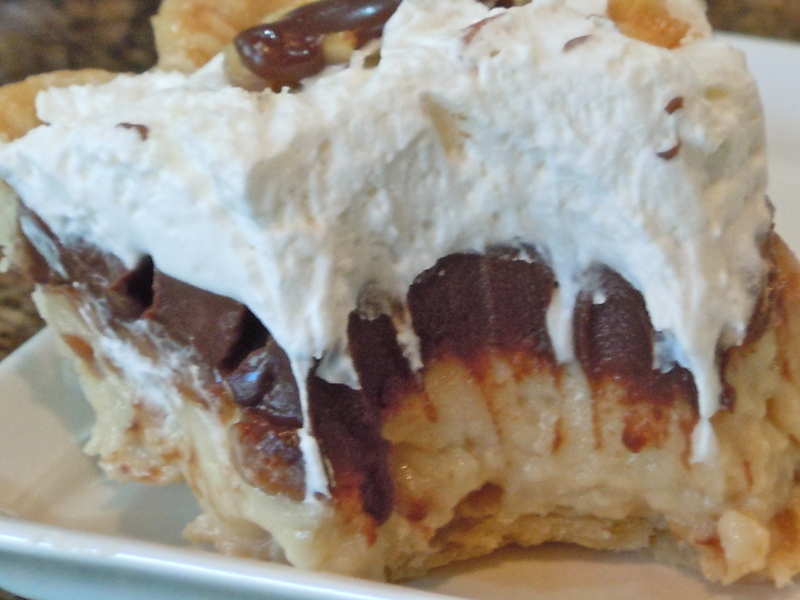 Spread whipped cream over pie and garnish with dark chocolate. 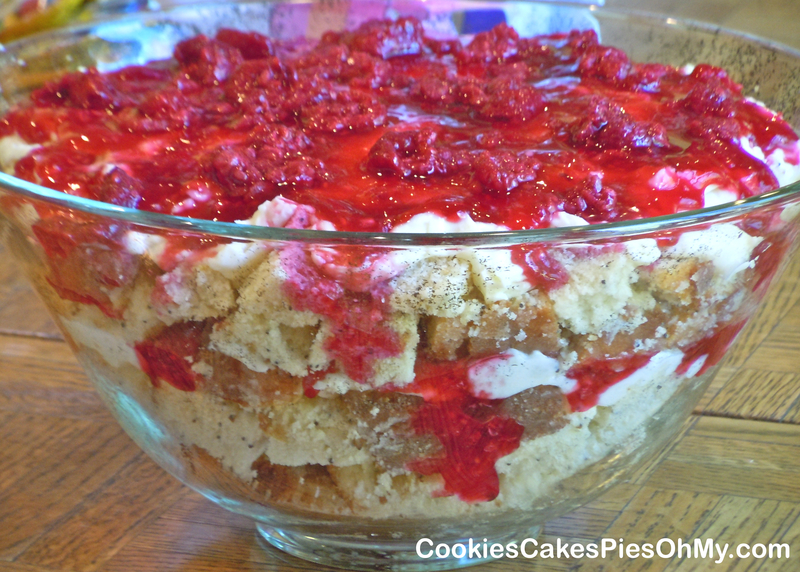 Have you ever made a Trifle? This was my first. I am thinking it is hard to miss when you take a number of delicious elements and layer them together. This is made up of lemon poppyseed cake, homemade lemon pudding with whipped cream folded in, homemade raspberry jam, frozen raspberries and then dollop more whipped cream on top! Just make it up as you go and…wonderful! Preheat oven to 350°. In large bowl with electric mixer, cream butter and sugar. Add eggs, one at a time, beating well after each. Beat in lemon extract and vanilla. 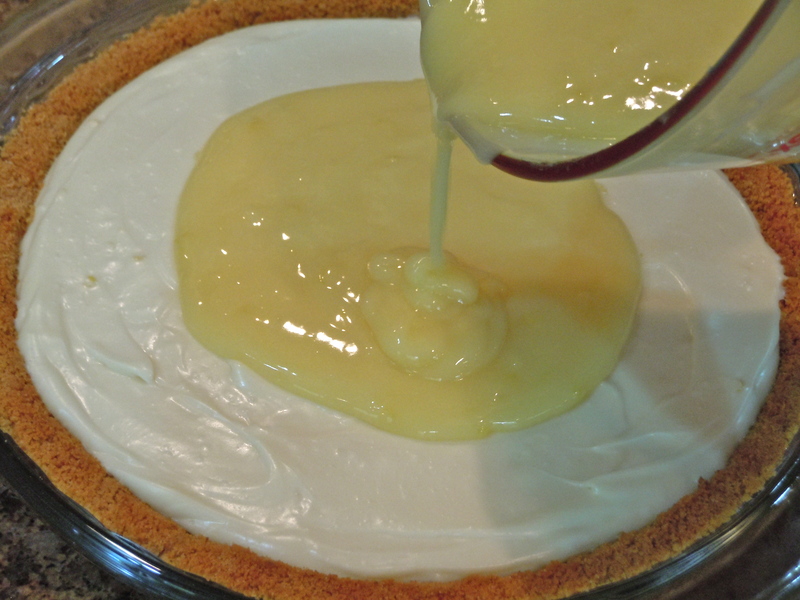 Combine flour, baking powder and salt, add to creamed mixture alternately with lemon juice and milk. Stir in lemon peel. Pour into greased and floured bundt pan. Bake for 60-70 minutes or until a toothpick inserted near the center comes out clean. Cool for 10 minutes, invert onto a wire rack. Cool completely. Cut into cubes. Combine milk, cornstarch, salt, and sugar. Heat to boiling, stirring constantly. Add a small amount of hot milk mixture to egg yolks to warm, and then add egg yolks to milk mixture. Boil 1 minute stirring constantly till thick and smooth. Remove from heat and add butter, vanilla, and lemon extract. Cool completely, beat several times while cooling. 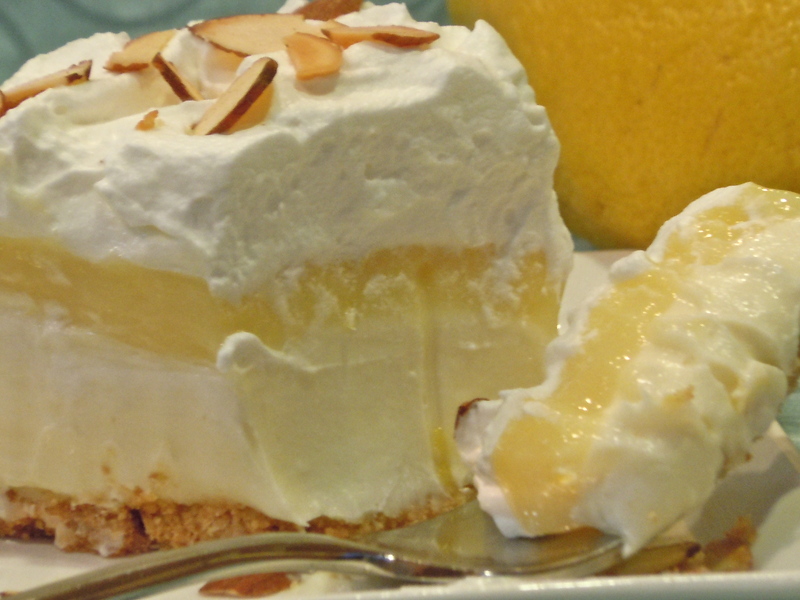 Whip cream to stiff peaks and fold half into cooled pudding, save other half in fridge for serving. 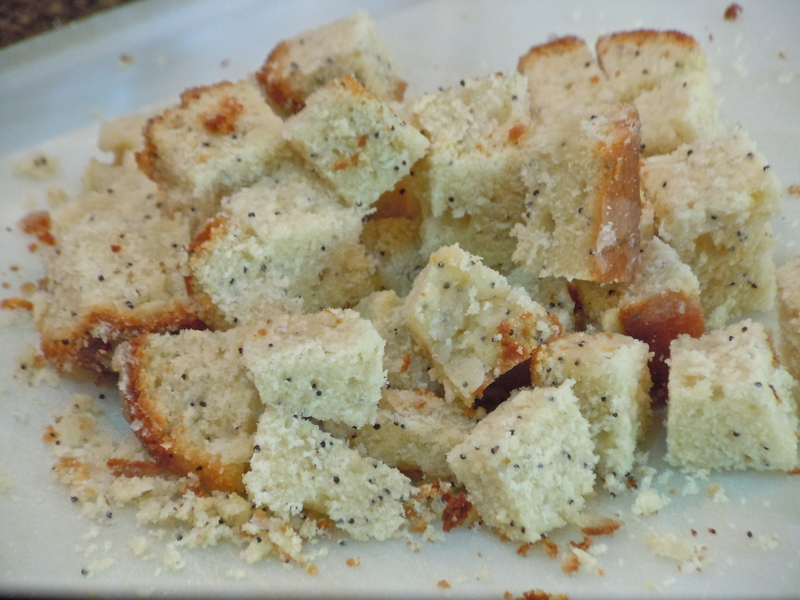 In large glass bowl, layer half lemon poppyseed cake cubes. 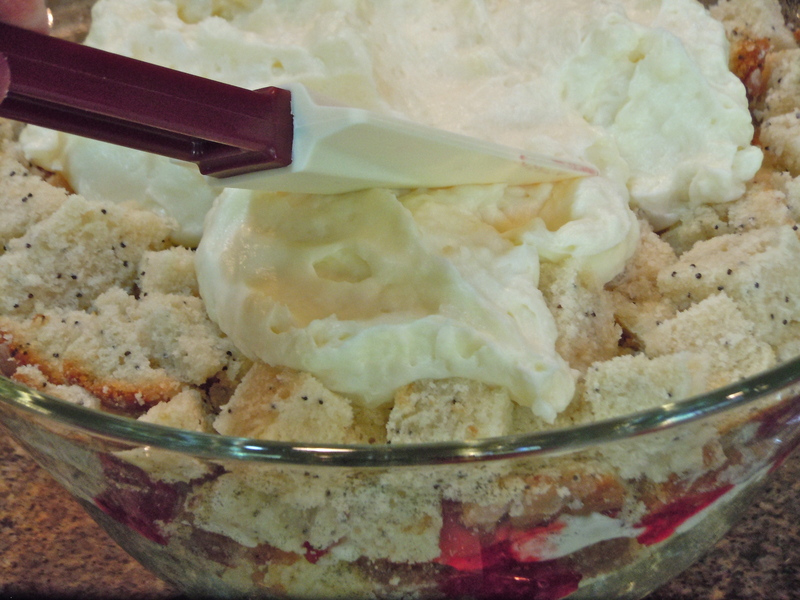 Gently spread half lemon pudding mixture, spread half of raspberry jam. Layer remaining cake cubes, remaining pudding, then jam. Put raspberries on top, cover with plastic wrap and refrigerate. 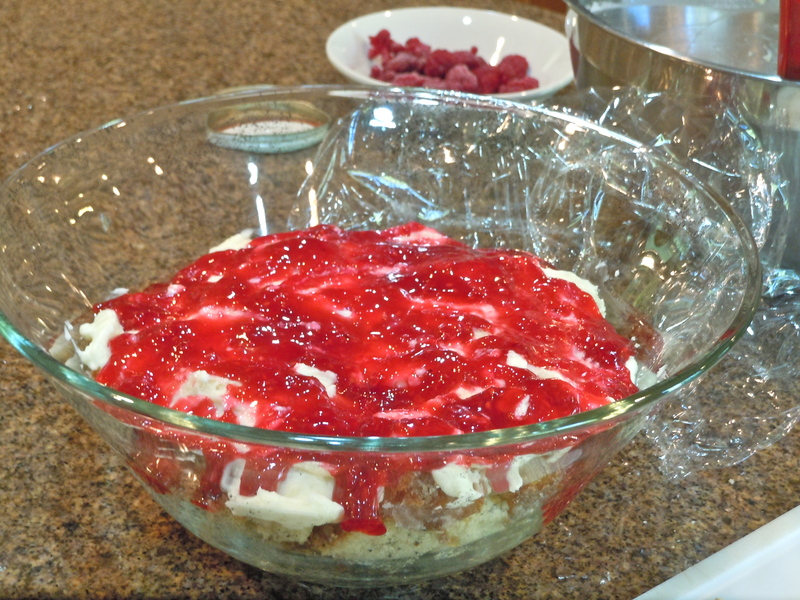 To serve, spoon onto plates, add dollop of whipped cream and garnish with more berries if desired. Time for pie! 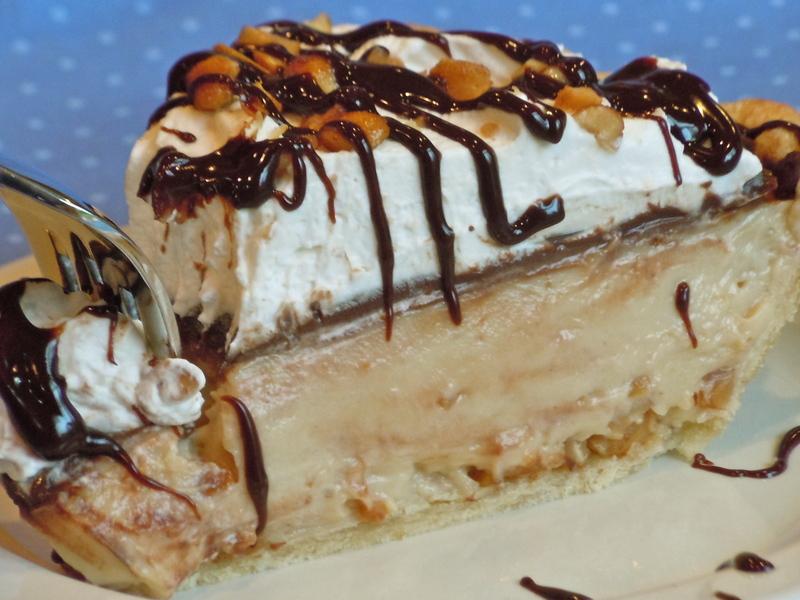 Every once in a while it’s nice to have a piece of pie, splurge, indulge, and enjoy! Stir together flour, sugar, and salt. Cut in the shortening. Add 1 Tbl of water at a time, mixing with fork until dough holds together. Make into a disc (handle as little as possible), wrap in plastic, and refrigerate at least 1/2 hour. Preheat oven to 425°. Roll out dough to about 12″ diameter circle, line 9″ deep dish pie plate, crimp edge, and prick bottom and sides with fork. 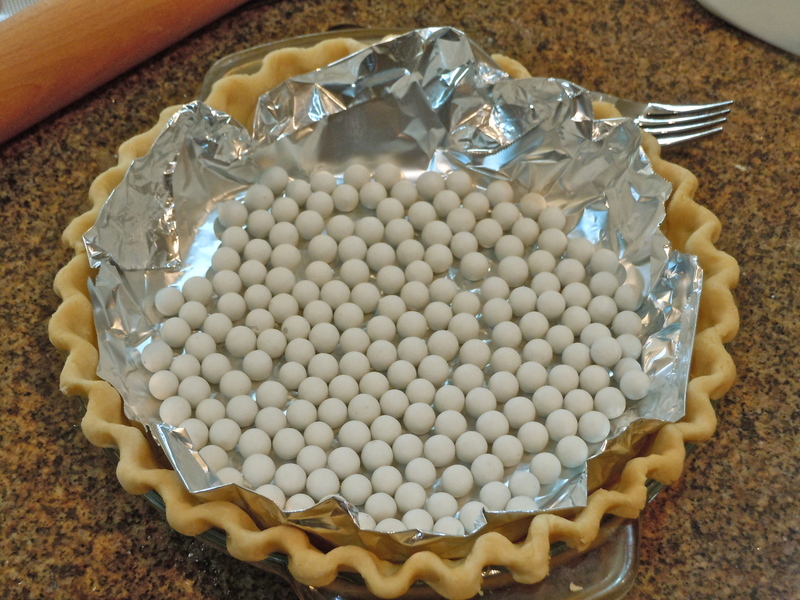 Gently line with sheet of foil, pour in pie weights (or beans) to keep crust from shrinking. Bake at 425° for 10 minutes. Remove from oven, gently pull out foil with weights, reduce heat to 350°, put back in oven and bake 10 minutes more. Cool completely. Sprinkle chopped nuts over bottom of crust. Combine milk, cornstarch, salt, and sugar in saucepan over medium heat. Heat to boiling, stirring constantly. Add a small amount of hot milk mixture to egg yolks to warm, and then add egg yolks to milk mixture. Boil 1 minute stirring constantly until thick and smooth. Remove from heat and stir in peanut butter, and vanilla. Beat several times while cooling. 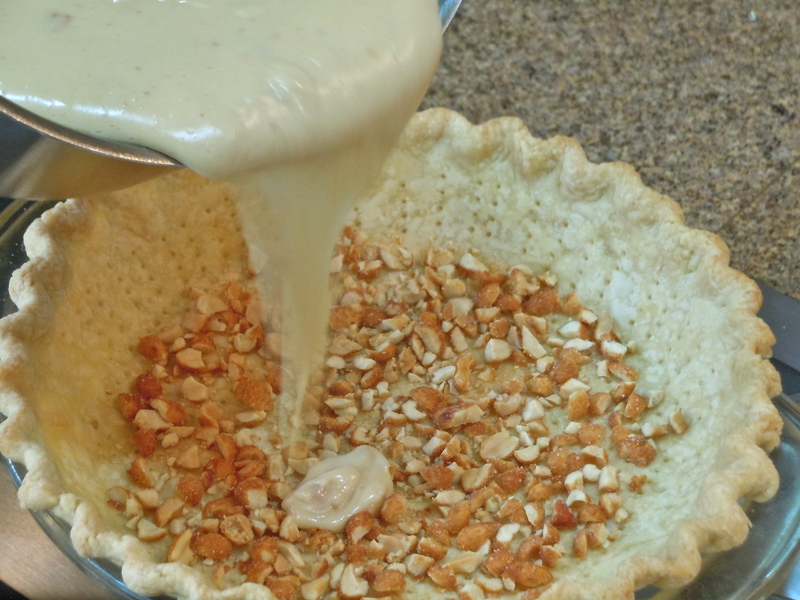 Pour into crust over chopped peanuts while slightly warm. Cool in refrigerator until set, approx. 4 hours. Place chocolate chips in glass bowl. Heat cream in small saucepan, bring to boil. 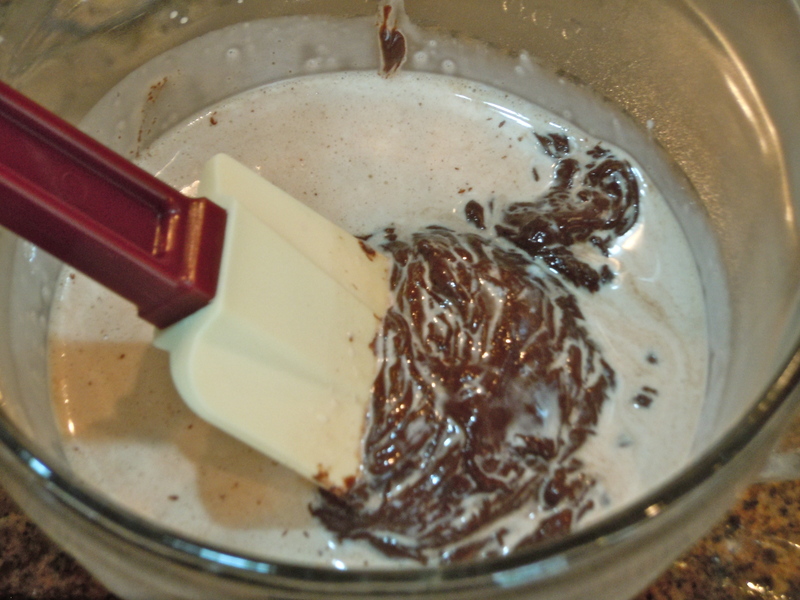 Pour hot cream over chocolate, let sit a minute, then stir until chocolate melts and mixture is combined and smooth. Set aside 2 Tbl of ganache for garnish. Let remaining ganache cool slightly, then pour over the peanut butter cream filling and refrigerate until firm. Whip cream in medium bowl to stiff peaks. Fold in powdered sugar and vanilla. 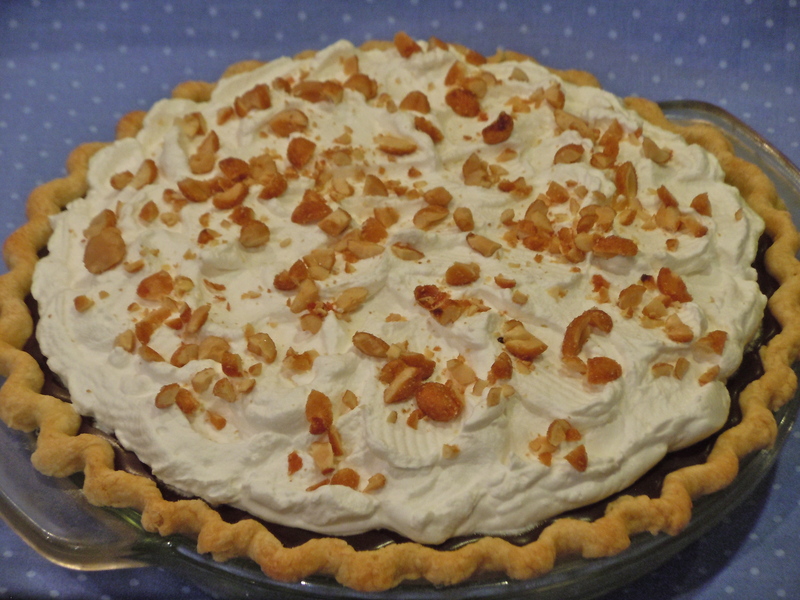 Spread or pipe whipped cream on top of cold pie, sprinkle with chopped peanuts and drizzle with ganache. If you are interested in Demarle bakeware & kitchen tools such as the Roul’Pat & Beechwood Rolling Pin please visit mydemarleathome.com/kristenparker or simply click on the Demarle at Home logo below. 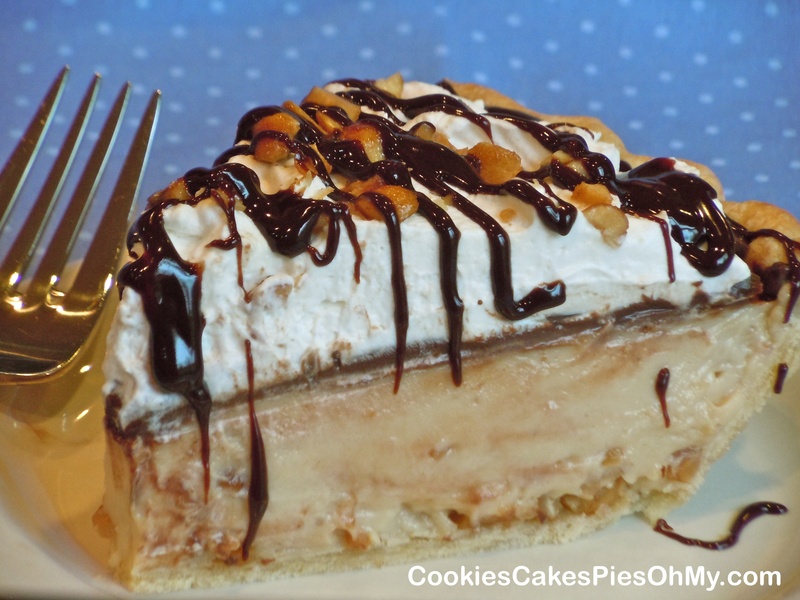 I wanted a rich, creamy chocolate pie with all the elements that I love wrapped together in one beautiful slice. Asking a lot I know, but this is my creation. I love a chocolate cookie crust and also wanted a little crunch so I added nuts. I love smooth, thick, rich feel and taste of ganache so the truffle layer goes next. Then, I wanted the creamy, smooth, fluffy mousse and finish off with cool, sweet cream. 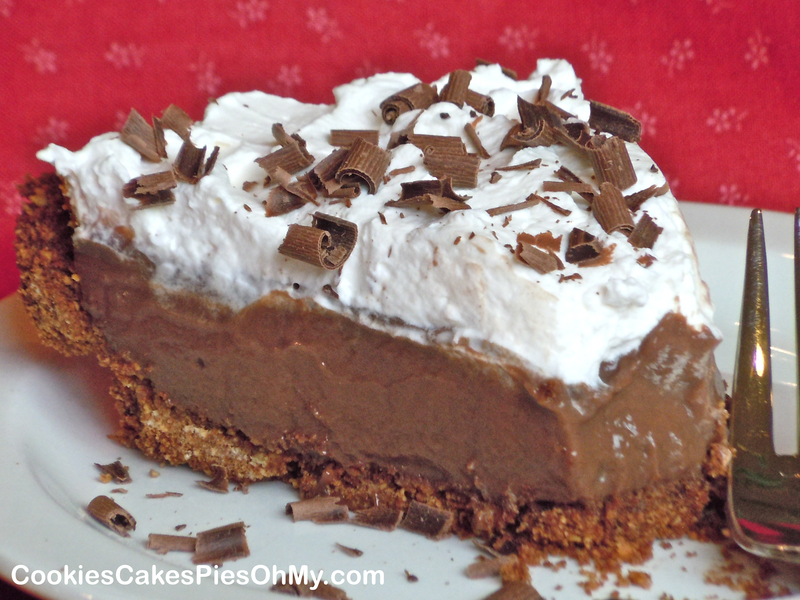 This is, in my mind and mouth, the perfect chocolate pie. Oh, no it’s not. 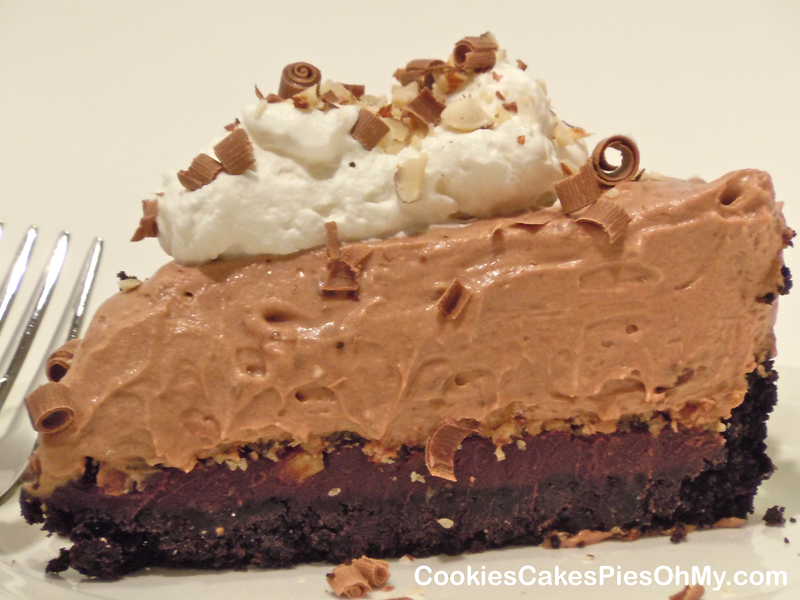 Perfect chocolate pie would have zero calories! Preheat oven to 375. Stir together chocolate crumbs and butter. Press into bottom and 1” up sides of sprayed 9” springform pan (would work well in a large deep dish pie plate). Bake for 8 minutes. Cool. Put chocolate pieces in heatproof bowl. In small microwave safe measuring cup, heat heavy cream hot, almost boiling. Pour hot cream over chocolate pieces, let sit for 1 minute. Gently stir to melt chocolate. Pour over crust, sprinkle chopped nuts over and refrigerate. Warm Nutella and pieces of milk chocolate slowly in microwave, just until melted. Stir in sweetened condensed milk. Chill in fridge for 10 minutes. Whip cream to stiff peaks. Gently fold cooled chocolate mixture into whipped cream. Spoon in and spread over nuts. Refrigerate for at least 5 hours, preferably overnight to set up as much as possible. 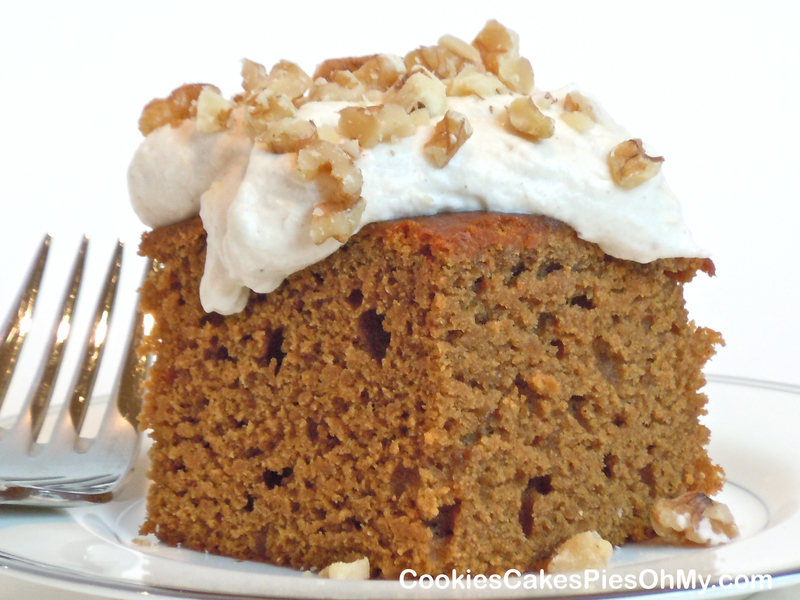 With electric mixer, whip cream to stiff peaks and add powdered sugar and vanilla. 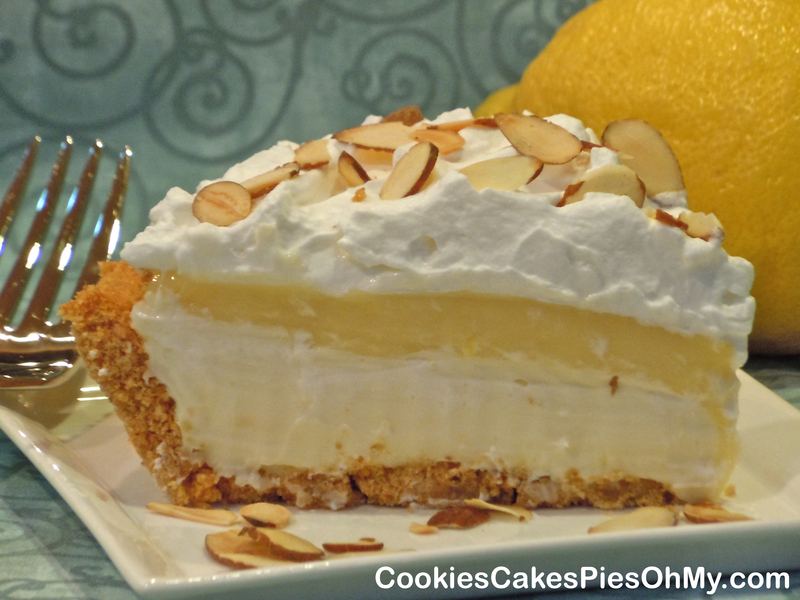 Spread on pie or add a big dollop when serving each slice. Sprinkled with chocolate curls and chopped toasted hazelnuts.